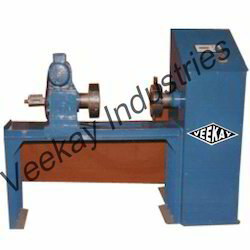 Clients can avail Fatigue Testing Machines also from us, which is used in ensuring the fatigue strength under reversed bending stresses. These are known for their effective performance, reliability, and easier operations that make them perfect for checking the fatigue failure location and fatigue life of metal specimen for alternating stress cycle. These work as cantilever where self aligned bearings enable vertical rotation and loading of specimen for dead weights. By using counter balancing lever system we balance the loading assembly’s dead weight. 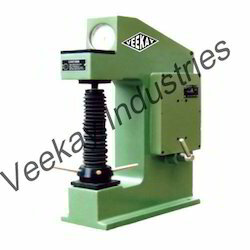 From the past couple of years, we are engaged in offering our clients the premium quality Pendulum Impact Testing Machines. The pendulum impact testing attached to the machine for the measurement of torque and torsion of various materials. 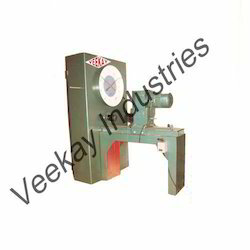 These machines are available at very reasonable market price. The height of drop before and after rupture displays the impact energy that is absorbed by specimen and reflects on the dial scale. 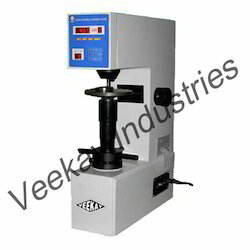 We offer a wide range of Digital Torsion Testing Machine, we have designed and developed these machines to conduct the twists and torsion on different types of metals like sheet materials, wires, tubes and other materials. Its pendulum dynamo-meter system is used in Torque measurement. Torque is applied on sample through geared motor by gear box. Backed by a team of dedicated and skilled professionals, we are able to offer a large variety of Spring Testing Machine. These are used under the compression and tension loads. 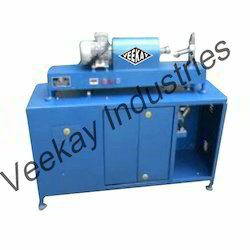 Its induction motor rotates the specimen and cut off switch stops the functioning of machine at the time of failure. 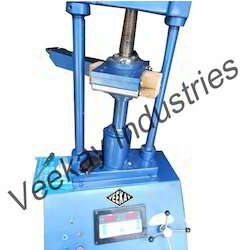 An extensive range of Leaf Spring Testing Machines can also be availed from us, which are used in testing coil springs, leaf springs, laminated springs, and helical spring. 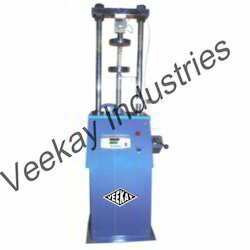 Available in different capacities from 100 KN to 1000 KN, these machines are offered in varied specifications that meet variegated demands and requirements of our esteemed clientele. Moreover, we supply our range within the committed time frame. 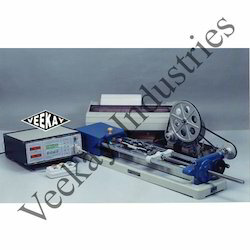 As a leading firm, we are indulged in offering our clients the best quality Analogue Torsion Testing Machine. 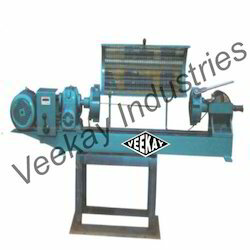 These are used in conducting twists and torsion on several metals tubes, wires, sheet materials and many others. 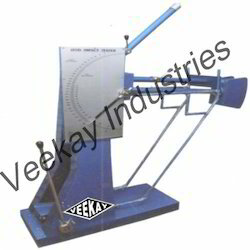 With pendulum dynamometer system the torque is measured which is adjusted through auto torque selectors. By geared motor and gear box the torque is applied on specimen. 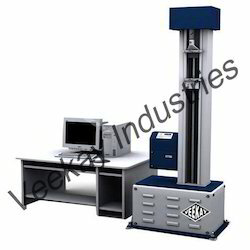 Being an eminent name in industry, we are involved in providing our clients Computerized Tensile Testing Machine. With microprocessor based electronic panels, these computerized machines have LCD monitor that displays various extensions and load readings and Microsoft Windows based operating system. 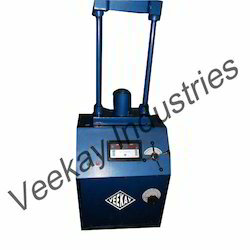 Our regular and highly respectable clientele can avail these machines at market leading rates from us. 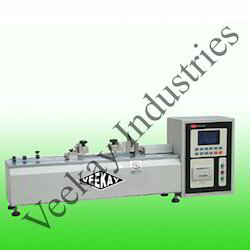 We offer a wide range of Erichsen Cupping Testing Machine in industry. For the Erichsen cupping tests on metals, these machines are developed in adherence with the international quality standards. 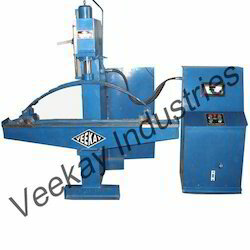 Equipped with clamps for faster and smooth functioning, these machines are manually operated. For the diverse requirements of our clients, we offer our range in varied specifications that meet their business needs.